Mr. Spock is Star Trek’s indelible archetype of logic on the Starship Enterprise. Logic is an organization’s description of the cause and effect relationship between what goes into a nonprofit program and what comes out of it. Logical thinking is always important but especially so during periods of downturn, recession, and shrinking resources because, without it, otherwise well-intended organizations may deviate from mission and purpose with disastrous results. Picture it: a largely but not entirely hypothetical nonprofit literacy organization, which I’ll call “ORG,” was founded to fund other charitable groups but loses its primary source of revenue from a single funder after about fifteen years of operation. ORG scrambles to find new sources of revenue by, among other things, contracting with schools to become a competitor with organizations it previously funded. While ORG isn’t new to the field, it is new to direct services and in this way has cannibalized the organizations it helped build. Sad to say, but this “eating of its young” is an “outcome” or “impact” of its activities. There’s not much logic in that. Were logic involved, ORG might not have pursued the course it did. By severely reducing grant making activities, establishing new programs, increasing the size of its development department, and creating new accounts receivable systems and staff to manage earned income, the number of children who successfully completed literacy programming went from 14,000 to 4,000. Decreased numbers of children learning to read and write are just the tip of the iceberg to ORG’s ferociously flawed logic. Some previously funded exemplary organizations did not survive withdrawal of its funding and dissolved. Others sputtered along and were forced to make dramatic cuts to programming. It’s no surprise that fewer children received help. So why did ORG do what it did? There are many plausible answers not the least of which is a desire to sustain a worthwhile organization. Life cycles can be hard to accept for us humans who form emotional attachments to organizations and programs that have outlived their effectiveness. What, then, would have been a more logical course for ORG to take? Perhaps it could have become a leaner technical assistance organization to the nonprofits it once supported if it aimed to sustain itself. If not, a graceful dissolution could have been rolled out. In this case, multi-year grants could have been provided to the agencies it once supported by exhausting its remaining endowment. Either mission would have been a more logical alternative given ORG’s primary purpose. Where was ORG’s logic flawed? An organization’s logic model connects the time, money, effort and other resources spent on its programs to its outputs, outcomes, and impact. ORG’s theory of change, which according to Ian David Moss “‘unpacks’ the processes and factors that lead to successful outcomes exposing relationships between isolated variables that can then become the subject of research or evaluation” might explain what happened. ORG suffered less from fewer children served and more on inappropriate building blocks, such as creating an entirely new competing program, to achieve that long term goal. A healthy logic model is one in which the allocation of time and money supports outcomes/impact that build competitive advantage. An unhealthy cycle is one in which resources are spent on activities that ultimately diminish impact. While ORG was able to sustain itself, for example, it did so at the expense of the field it once supported and had less impact on the very children it was founded to help. In your organization or the groups with which you work: is there a high correlation between how it spins its input wheels and superior impact? Is the organization’s mission directly linked to observable outcomes? If so, have at it! If not, it might be time to diagram the cause and effect relationships between the inputs, activities, and outcomes. An equally important question: How do you know inputs and activities are causally connected to impact? “Six Theory of Change Pitfalls to Avoid” by Mathew Forti, Stanford Social Innovation Review: essential questions and tips to avoid common traps. Before I get to the concept of advantage, I would like to start with competition; a topic that can be a bit unsavory for nonprofit professionals who might have a noncompetitive view of the world. The Olympics is a great model for competition. Most sporting events are because competing is commonplace for athletes. In fencing, a sport that I have enjoyed for nearly three decades, worthy opponents square off. They salute each other. En garde! And off they go. May the best competitor win. How each person conducts him or her self is important, too, and in some sports like fencing improper conduct can result in disqualification or point penalties. A fencer could be said to have a competitive advantage if he or she has a superior move or technique that enables a win over their opponent in a particular bout. My first bout against a left-handed fencer is an example of this. 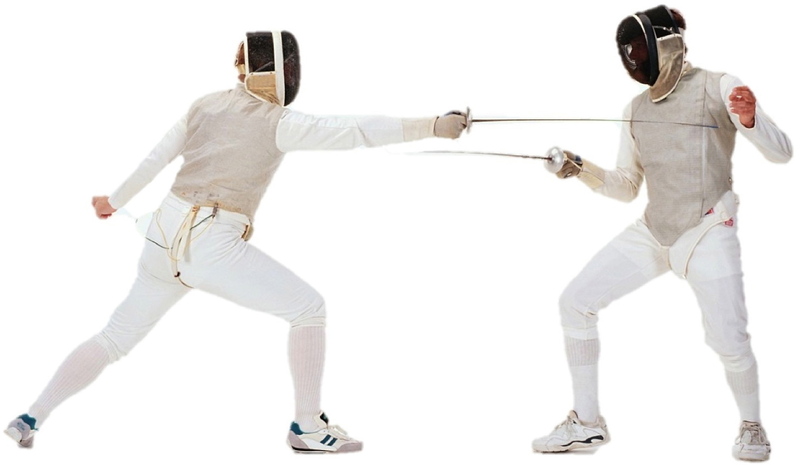 While my opponent had experience fencing with many right-handed fencers, I had never tried my right-hand against a left hander. I put up a good fight but lost the bout. We shook hands and looked forward to the next one (which I lost, too, by the way). Her experience and my lack of it gave her an advantage. The truth is, I’m not a great fencer. I’m okay at it but I enjoy it immensely. I don’t care about winning. Perhaps with beginning bouters I might have a competitive advantage or two. But I won’t win a medal any time soon. Unfortunately, this attitude of enjoyment might not be the best one to adopt in the context of nonprofit work because losing could very well have dire consequences, such as not getting an important grant. Competition in the wonderful world of nonprofit adventures can take a few lessons from sports. Perhaps it is more palatable if we qualify the process by inserting the word “noble” before “competitor” and then it takes on a whole new meaning. Just like with fencing, bouts with noble competitors happen all of the time: sometimes winning and other times losing. The important thing is to keep playing and to, at some point, find an advantage that enables a win over a worthy opponent. Nonprofit organizations have noble competitors just like athletes. Contenders compete for every grant, board member, ticket holder, or staff member regardless of what you call it. In the case of a community based theater company, competition could be another nearby theater troupe. For a neighborhood health clinic, competition could come from a hospital that will be built a few years down the road. When the hospital in my hypothetical example is finished, will the clinic be ready to compete? Since the hospital’s completion is a few years away, the clinic has that amount of time to strategically plan — perhaps even working with the hospital as a partner! Competitive advantage, then, plays an important role in distinguishing this theater troupe from that one. This clinic from that hospital. But being different is not enough. Adding value is, at least from the perspective of the community served by the organization. From that perspective (and this is the part that is sometimes difficult to swallow for noncompetitive types) advantage is any superior position the organization has over competitors. It can be characterized as a program that the organization does better than another group or an operational edge, such as proprietary ticketing software for performing arts groups that enables ease of use and audience satisfaction like no other in the area. It’s no accident that I selected this photo from their Agon, which means “contest” in ancient Greek, to make my case that these dancers using Balanchine’s technique are masterfully suited for rapid fire attack to the movement like no other dancers I have ever seen. I love to be in the room when it is happening! That value — technical, artistic, athletic — captures my breath. Clearly, I am their market and will continue to get tickets so long as City Ballet produces abstract work faithful to Mr. Balanchine’s vision. On the surface, the American Ballet Theatre (ABT) appears to be their competition. But that’s not entirely true. Not if we’re comparing competitive advantages. Of course they are both ballet companies but it is each one’s appeal to slightly different markets that enable them to be noble neighbors. ABT does superior productions of what is commonly referred to as story ballets and, in this way, doesn’t compete with City Ballet from my perspective as a ticket buyer. That doesn’t mean that people like me won’t buy tickets to ABT. But even then I am likely to favor choreography by Balanchine. That said, let the competition begin when ABT does Balanchine or City Ballet a story! Modern dance companies like Alvin Ailey, Paul Taylor, and others have competitive advantages, too, which arise in part from the creative innovations of the artistic visionaries driving them. However you want to think about it and if “superior” or “adding value” is off-putting, perhaps thinking about it as noble competition might help. Is your organization ready? En garde! 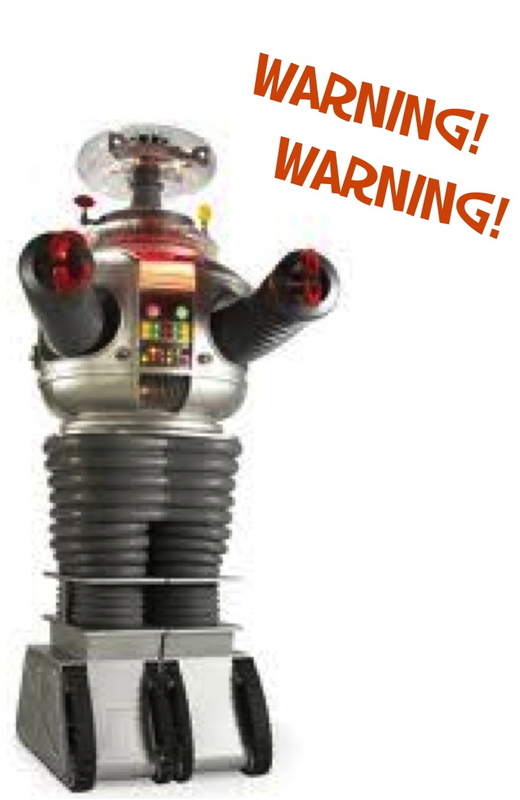 “Danger Will Robinson!” is a familiar phrase I recall from the 1960s sci fi television series, Lost in Space. The space family who was alerted to scientific samples or dangers lurking behind shadows commonly referred to their dutiful robot as “environmental.” And for good reason. Businessdictionary.com defines an “environmental factor” as an “element…that affects the survival, operations, or growth of an organization.” The aptly named Robinson robot would analyze planetary atmospheres to determine life-support capabilities and wildly wave its arms to warn if danger was detected. I don’t know of any nonprofit that has an environmental robot (please alert me immediately if you know of one! ), but organizations that have some sort of equivalent system to analyze and monitor the factors that could affect them will be most able to adjust to new conditions. For example, forces that could act upon a local health care clinic include federal legislation such as the Affordable Care Act. An opportunity for growth could be found in what is commonly referred to as the individual mandate by assisting low income residents in the area to find appropriate coverage. A threat could arise from the projected national shortage of 63,000 doctors by 2015 and 130,600 by 2025 according to the Association of American Medical Colleges. A key strategic question for this clinic would center around its ability to compete for health care talent. In the case of a community based theater company, for another example, key indicators in the environment could be population growth and changing demographics. Strategic planning for change might include programmatic adjustments that reflect the evolving community or allocating resources that build relationships with emerging organizations and businesses. An essential question that I like to ask: What indicators are there that could positively or negatively act upon the organization? Be honest and courageous in your responses to this question and make sure the information is credible. If yours is a health care nonprofit, for example, understanding the entirety of the Health Care Act and not relying on what people say about it is essential to responsible organizational leadership. A good tool for this is a SWOT (strengths, weaknesses, opportunities, threats) analysis, which looks at forces internal and external to the organization. But be cautious. DO…listen to you inner environmental robot and corroborate information, be courageous, and ask hard questions. DO NOT just fill-in empty boxes or make assumptions particularly as far as strengths are concerned. Claims about your program(s) that simply aren’t true or are exaggerated can be an internal threat to credibility and is far from the honest look required from organizational leadership. Why not add Environmental Factors as an ongoing agenda topic for quarterly board meetings? Sustained analysis provides necessary information that enables organizations to navigate safely and sensibly in a world that is changing faster than ever before! By doing so, leadership decisions will be based more on facts, less on fantasies, and enable the organization to stay on course. Many of us working in nonprofits have heard goals and objectives used interchangeably. It’s easy to take them for granted and assume everyone on your team knows the difference. Strategic goals are long-term (3-5 years*) desired results that focus resources of the organization toward mission fulfillment. They are measurable and observable endpoints that have objectives and tactics associated with each one. You’ll know that it’s a strategic goal if you feel like popping a cork when it is achieved. For example, 1,000 more students able to read on grade level by the end of next year might incite such effervescence for a literacy program. Objectives are incremental steps toward a goal and, in this case, might include recruiting and training more education staff by January 2013, among others. The “cork-popping” that comes from the 1,000 students is what characterizes the goal as strategic because the students are central to, in this case, a youth literacy organization’s mission. Now? In 6 Months? In 12 Months? Most organizations do not publicly share progress tracking because it is too granular for public consumption — especially if tactics, which describe how you get there, are included. The program director and committee responsible for strategic goal #1 above would likely have their own goals and tactical plan for achievement. Many plans fail because of a lack of accountability. Don’t forget to create some sort of system for the organization to monitor and track progress, which can help to rally your troupes around each and every important goal! Next up: environmental factors affecting nonprofits. * Some organizations will plan twenty or thirty years ahead. This is especially true for large capital campaigns. For small organizations, 2-5 years is about as long term as it gets in our rapidly evolving world. A core value is “a principle that guides an organization’s internal conduct as well as its relationship with the external world” according to Businessdictionary.com. Core values are sometimes referred to as beliefs, enduring tenets, or other guiding principles and are an important part of strategy because they govern relationships with others in and outside of the company, help define what the organization is, and determine the kind of practices it will engage in. If an organization’s core values focus on the well-being of children, for example, its human resource policies might reflect this through employee vacation time, family leave, flex/comp time, and other benefits that “walk the walk” of a deeply held conviction about children. In this case, the core value is time with family. You’ll know that something is core if it causes staff, board members, or volunteers to separate if compromised. If “respect” is a core value, for example, then it shouldn’t surprise anyone when staff members quit when the organization’s practices toward staff or constituents are harsh or harmful. For the organization that values the well being of children, abuse or neglect would never be tolerated and employees could separate if the organization is unable to make a change for the better. 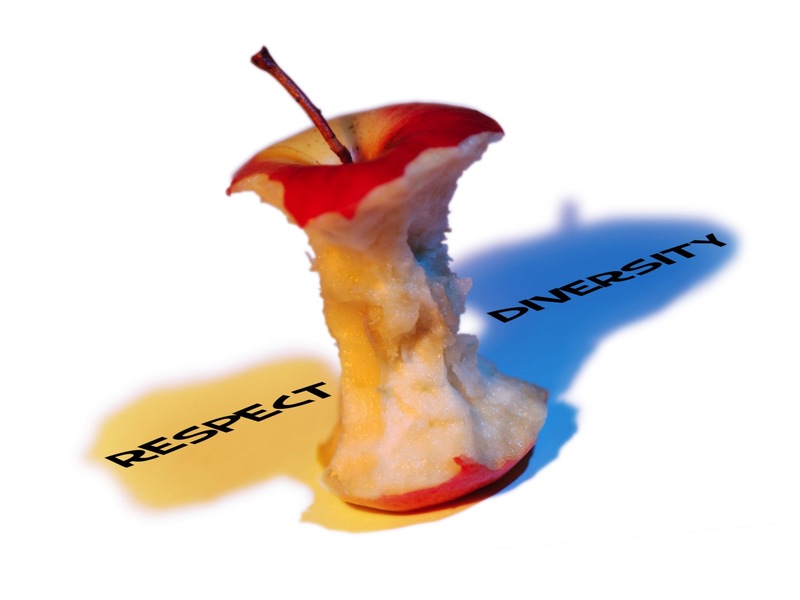 Groups that have not explicitly identified core values could be said to have a weak spine. If core values constantly change or are implicit only to one one person such as the executive director, then the organization’s spine can fracture causing confusion over what it stands for. Organizations can and should be adaptive, but generally speaking that change should come in all strategic dimensions other than what is core unless that is what needs to change. Because the organization’s people and practices are likely to change if core values do, it is important to be ready for that when thinking through and discussing this important dimension. Sacred cows, which are old ideas beyond criticism, will often moo most loudly when core values are discussed. They could take the form of programs, people, and practices that have become immune to analysis. Have courage to discuss them. You could discover a stronger core forged in the courage of that leadership. Next up: goals and objectives.